Autoplex Restyling Centers recently received the prestigious National Dealer of the Year award. 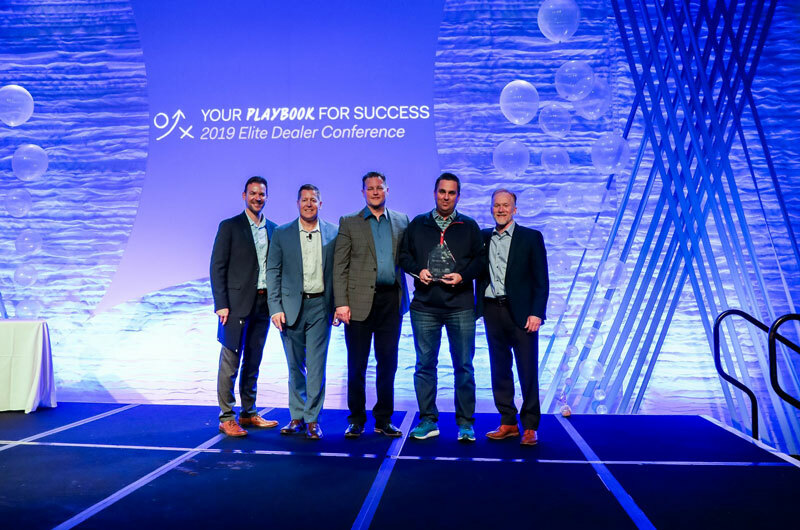 Josh Elliott and Tony Hinton accepted the award during Eastman's 2019 Elite Dealer Conference. Autoplex was selected from hundreds of automotive accessory shops nation-wide. Did nice work, worked late into the night to complete my installation. Great service and good looking showroom. The individual, Andrew Hutchinson, help me out and was top notch! Will definitely go back as he made my experiance very pleasant. I’ve been working with Andrew. He’s been super helpful with all my accessories needs. I’ve had him order me some floor mats and do a spay on bed liner. The process has been super easy! Can’t wait to add some more accessories from Autoplex. Working with Autoplex has been great! I’ve been working with Andrew. He’s been super helpful with all my accessories needs. I’ve had him order me some floor mats and do a spay on bed liner. The process has been super easy! Can’t wait to add some more accessories from Autoplex. These guys rock! Had them do a spray in bedliner on my 1998 Chevy 1500 and they knocked it out of the park. Didn't take very long, price was great, and the bedliner was VERY well done. Andrew was great to work with too. I'll definitely be coming back for sure. I had paint protection film applied by another shop and it failed to stick. Autoplex fixed it under warranty. They were very pleasant to deal with. Very responsive and gave me no issues taking care of warranty work on a job done by another shop. Can't speak to long term quality since it was just done. Tom was super responsive, friendly, and helpful. I had spoken with a few other places and Autoplex gave me the best price and got me in sooner than the other places could. I’ll definitely be going back! 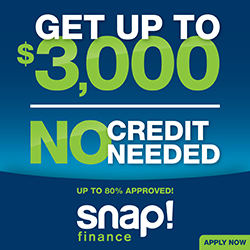 I represent a large national fleet account, that requires various up fits and have worked directly with Brett and his crew in Loveland, and when needed the Longmont and Ft Collins stores. We have sent well over a 100 trucks through the shops and they have always exceeded expectations. In addition they have worked on my personal Vehicles. Brett, the installers and drivers are always friendly and personable. I would encourage anyone looking for place to add something to their vehicle to call Autoplex, you'll be treated in a fair and honest way that adds up to great service. These guys rock! New leather in my Grand Cherokee is absolutely flawless and done in just over 24 hours. Had the guys at auto plex do a tint on my raptor, also a bed cover! They did great and everything was professionally installed! Appreciate it guys! I would recommend these guys for all your vehicle upgrade needs! Took my F150 here to get all the windows tinted. Living in Greeley there aren’t many places that use Llumar film. A few days after getting my truck back, I noticed there was a particle stuck between the passenger front window and the tint. Brought my truck back in and they fixed the issue with no questions asked. Excellent work and customer service. I highly recommend. I went in to Autoplex for a lift, tires and wheels. I knew exactly what I wanted and exactly what it should cost to have done. I was greeted by Ashley as I walked in. She was very helpful and listened to my picky list on exactly how I wanted the final result to be. I was jamming some large tires under it which others had told me couldn't be done, well Autoplex made it happen and I couldn't be happier with the end result. Pricing for the parts and work was spot on. This will be the only truck accessory place I will recommend to anyone and I will be back to finish my wishlist for my truck. Great company and great people. P.S. They didn't even try to keep my old tires and wheels as other places have in the past! Loveland Autoplex is AWESOME! There was a scheduling mix up with my dealership and appointment time with them. They did not point fingers or make excuses. They got my car done that day and very quickly. Had heated seats add to my new 2018 WRX. A lot warmer than the factory one’s in my wife’s 2016 WRX. I also throw them a curveball and asked for the window tint to be done. Far as I can tell the tint is seriously professional and flawless. I will definitely be taking our cars back for clear bra here. Even if there is a location in Longmont where we live. Thank you guys again and keep up the amazing work! Brought our jeep in for a complete overhaul and could not be happier. Ben handled our jeep with the love and care we would have treated it with. Great options on all accessories and very great work and turn around time. Would suggest them to anyone! Nice clean shop. Helpful with upfront prices. I came here to get a leveling kit put on and to have a bed liner sprayed on my truck. First off, the quality is incredible. The bed liner is perfectly done and met the exact look I was seeking. Everything was done in a timely manner and the people here were extremely friendly. I will definitely be returning to get more work done by these folks. These guys are the best! For all your needs not only will they get you what you want but fit your needs exactly. Great customer service/care and exceptional quality of work.I can't say enough especially for Ben and Jake; I am a customer for life! Nice customer service You can get all the parts you need to have a great looking truck!! Great customer service. Nate S. was very helpful in the process of getting a topper for my pickup. Would highly recommend this place. Bought a new Toyota Tundra and was pointed in these guy's direction. I gotta say they are awesome! I got running boards and y windows tinted and they were very helpful and have great prices. I recommend getting in touch with Geoff Bajinski for any accessories you may want for your car or truck. He is 100% customer service driven and will take care of you. Thanks to Geoff and the rest of the team at Autoplex! Leer let me down with 2 unsuccessful attempts to match the color of my 2007 Tundra. Autoplex was less happy than I was and recommended I try an A.R.E. topper. It took all my patience, but the A.R.E. topper came in on the day promised, and was a PERFECT MATCH for color! After further examination, I am thoroughly impressed with A.R.E. toppers and convinced Autoplex is more interested in my satisfaction than just making a buck! Unfortunately, as sometimes happens, there have been a few problems with the ARE topper I purchased for my Sierra. However, the guys at AutoPlex stepped up and made sure everything was fixed to my satisfaction. I also had the windows tinted in the truck and they did an outstanding job!! I also purchased a few other products and these guys really know what is out there on the market and give you an unbiased opinion about what works and what doesn't. Autoplex Restyling Centers has a long history outfitting vehicles in Colorado with custom accessories to fit our customer’s needs and surpass their expectations. Whether it’s a car, truck, or SUV, Autoplex is your home for everything aftermarket! You’ve found your one stop automotive restyler with the widest offering of products from the best manufacturers in the industry! From custom wheels and tires, aftermarket sunroofs, customizable Katzkin leather upholstery, to a full range of truck accessories and offroad parts including Procomp suspension lift kits, ARE, Century and LEER truck toppers and tonneau covers, spray in bed liners, trailer hitches and towing accessories we have you covered! Autoplex also offers a full line of 12-volt electronics, featuring products from Viper(DEI), the industry leader in vehicle remote starters and security systems. Our 12v services also include heated and cooled seats, Alpine and Rosen audio/video upgrades, navigation and backup camera integration, safety products and more. Also ask us about protecting your vehicle with the best paint protection film (clear mask) and window tint in the industry! Autoplex is an authorized installer of Llumar window tint films. Autoplex is a trusted installer of aftermarket products for many of the local dealerships, so you can trust that your vehicle is in great hands with our ASE certified technicians. To us it’s about more than just offering the best products on the market. Customizing your vehicle should be fun! We encourage you to stop by and meet our friendly staff, talk cars, and pick our brain on the best product for your vehicle! We have three full service locations in Loveland, Longmont, and Northglenn. Our fourth location in Fort Collins specializes in window tinting and clear mask. Autoplex proudly serves the following Colorado communities: Boulder, Denver, Fort Collins, Greeley, Loveland, Longmont, Northglenn, Westminster and Windsor as well as Cheyenne and Laramie, Wyoming. To view store location information please visit our Locations page.